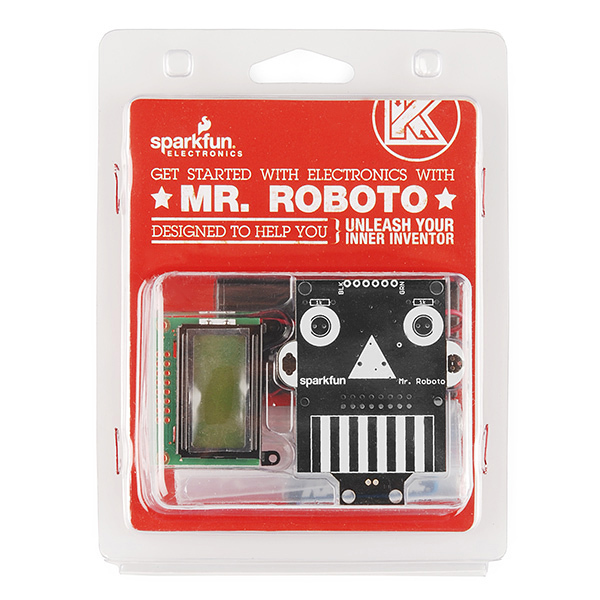 This is the same product as the Mr. Roboto Kit. The difference is this version comes in fancy clamshell packaging meant for our distributors that need it. Regular customers are welcome to order, but we want to limit the amount of extra packaging finding its way into the trash heap. 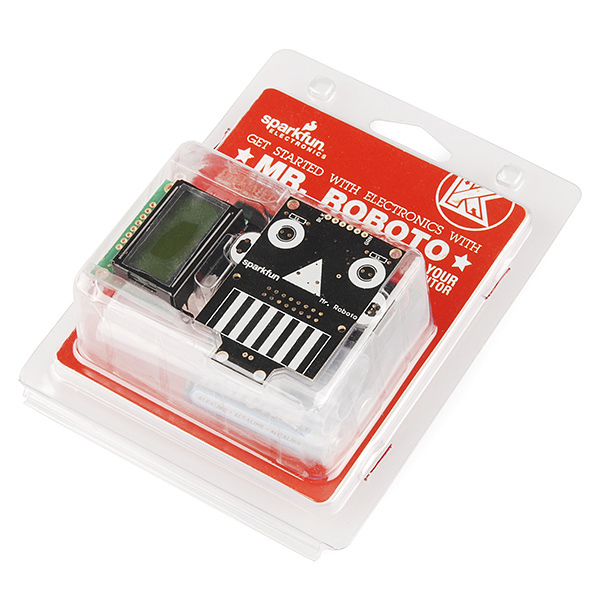 Meet Mr. Roboto! 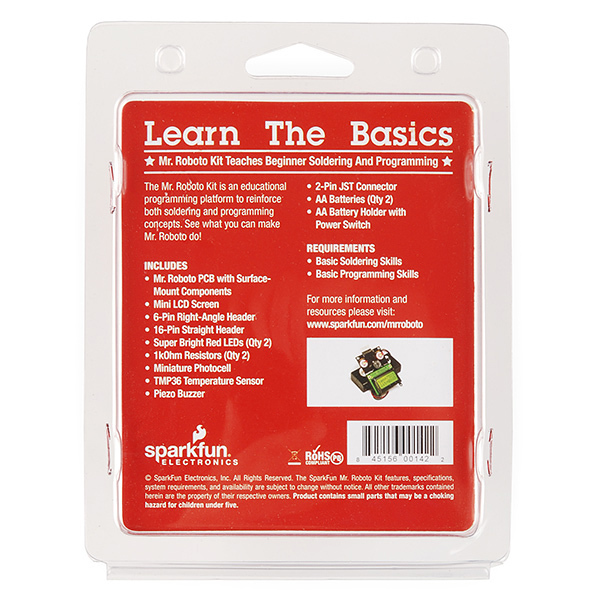 He's an Arduino-compatible development board designed to be used as a teaching tool for Arduino programming. All of the surface mount components come pre-soldered so a few minutes of simple through-hole soldering is all it takes to get him up and running. 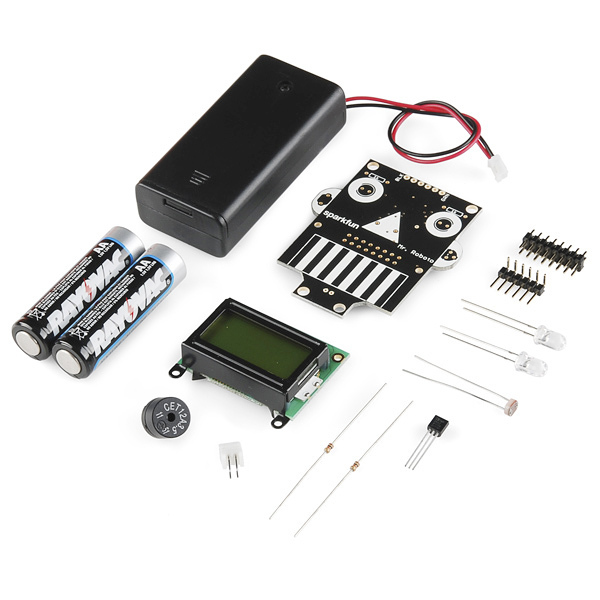 After the kit is put together, the on board sensors, buzzer and LCD screen make an excellent platform for learning how to write code for physical computing. 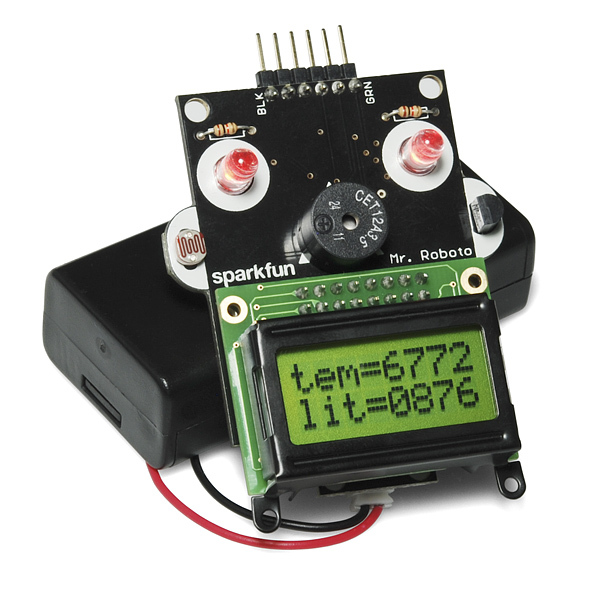 Mr. Roboto's "hair" is an FTDI programming header. Simply connect an FTDI breakout board and select "Arduino Pro or Pro Mini (5V, 16MHz) w/ ATMega328" under the boards menu in Arduino 1.0. Below, you'll find an archive of well-commented educational example sketches and an accompanying "readme" file describing what each one does in order of complexity. This board, combined with the example code which you can download below, is a great way to introduce students (or yourself) to physical computing and get started writing code. Thank you *very *much, Mr. Roboto! ATMega328 running at 16MHz, Arduino compatible!